We’ve all experienced it. You’re in the middle of a busy week and burning the candle from both ends. Suddenly, you wake up with a fever, chills, a cough, and a raw sore throat that makes your mouth feel as if it’s on fire. These are all signs you may be suffering from the flu. What is the flu and how does it spread? The simple answer is it’s in the air – and it’s spread through tiny particles traveling at high speeds. What’s more? Once the flu starts bugging you, you’re actually contagious within the first 24 hours to seven days after symptoms present themselves. Check out this informative video from NPR to learn about the flu’s lifecycle. 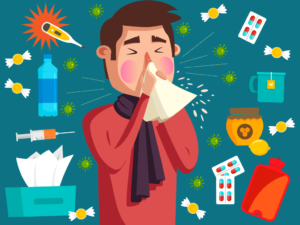 According to the Centers for Disease Control and Prevention (CDC), between 5% and 20% of the U.S. population comes down with the flu each year, and as many as 200,000 people are hospitalized for flu-related complications. Additionally, while 70% of students recognize the importance of the flu vaccine, only between eight and 39% of college students actually got vaccinated in 2017, says the National Foundation for Infectious Diseases. What all of this indicates is that while college students know the risks of not getting vaccinated, they’re also not doing enough to prevent it! Whether on-campus or in the community, there are simple steps you can take to prevent the flu from bugging you. Here are helpful tips to survive the flu this year. Get a vaccine. During your next doctor visit, ask for the shot or nasal mist. Additionally, many retail pharmacies offer these options with no appointment necessary. Even better, most insurance plans fully cover the vaccine. 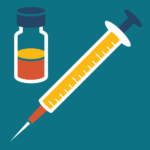 While the flu vaccine is effective against a limited number of flu strains, if you do contract the flu, the Centers for Disease Control estimates that the vaccine will lessen the length and severity of the flu by 40-60%. Also, contrary to popular belief, you cannot get sick from the flu vaccine, but you are vulnerable, especially if you are around a lot of people and breathing the same air. Learn more about these and other reasons to consider getting vaccinated. Keep it clean. It’s a fact. Flu viruses spread rapidly when conditions are unsanitary. 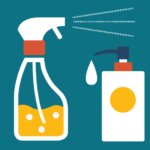 To prevent the spread of the flu, disinfect common areas such as door handles, computers, tablets or smart phones. Disinfecting wipes are an inexpensive way to kill the flu virus on contact. Cover yourself. If you sneeze or cough, be kind to others by not releasing particles into the air. Instead, use a tissue to cover your nose or mouth. When you’re done, discard your used tissue in the trash. If you don’t have a tissue handy, cough or sneeze into your elbow. Avoid using your hands for coverage as they are a vehicle for spreading germs as you go through your day. Don’t be so touchy. Resist the urge to be the welcoming committee to germs. As previously stated, dirty surfaces and hands are a breeding ground for infectious diseases, so if you have the flu, avoid physical greetings like handshaking. Stay hydrated. 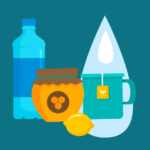 When you’re sick, clear liquids like water, broth, juices or sport drinks containing electrolytes can restore what the flu takes away. It can be a good idea to have some of this stuff on hand, so if the flu strikes, you’re ready to go. Bank up on sleep. Did you know that sleep is one of the best weapons against getting the flu? But, if you’re not getting enough sleep, it can put you at a greater risk. A lack of rest can have an adverse effect on immune function, says The National Sleep Foundation, so be aware that those late nights and all-nighters are may not be doing you any favors. Therefore, try your best to get to bed early or take extra naps to give your immune system time to fight off the flu. Know when things are getting serious. While most cases of the flu are gone as fast as they start, sometimes, we aren’t so lucky. 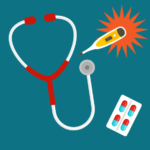 If you have a chronic health condition such as diabetes, heart disease or asthma, or if you have trouble breathing, head and neck pain or stiffness, confusion or dizziness, a fever lasting over four days, or colored mucus, consult a healthcare provider immediately as these could be signs of something more serious. Think strategically. It’s always a good idea to have a sick day plan. This can include a simple checklist of items to store in your house, important phone numbers, medications and a list of them in case you need to go to the doctor, cleaning supplies and special foods that can help you feel more like yourself. If knowledge is power and prevention is key, the best medicine for fighting the flu could actually be taking these steps to survive flu season. The Fraternity’s ELEVATE Health and Wellness initiative can help keep you safe, and that is a message we all should feel comfortable spreading. For more information about this topic and others, contact Director of Health and Wellness Andrea Kleekamp at ark@phikappapsi.com or Health and Wellness Consultant Drew Kerwood at ajk@phikappapsi.com.